With more than 800 years of vibrant urban history, Dresden can definitely hold its own next to Berlin, approximately 120 miles north. Dresden even has the distinction of being deleted from UNESCO’s World Heritage list in 2009 after the city spruced itself up with a modern bridge across the Elbe River. While attending the Germany Travel Mart’s annual convention recently, I discovered that Dresden is a traveler’s dream due to its friendly hospitality, cultural attractions, local wines and beers, affordable hotels and restaurants, Elbe cruises, castles, and the famous Meissen porcelain factory. It’s a less hectic alternative to Berlin. A Baroque-era city with beautiful palaces, public buildings, and museums, Dresden offers visitors a thorough education in the characteristics of the Baroque period: ornately decorated facades with covered colonnades and a cupola, or domed roof, which allows for natural light to flood the interior space. Interior spaces were often decorated with pastel colors and gilt surfaces. This is all thanks to Augustus II the Strong, the Saxon prince obsessed with collecting who made Dresden a major cultural centre with one of Germany’s finest art collections. I stayed at Hotel Pullman Dresden Newa, located on the pedestrian thoroughfare Prager Strasse, a five-minute walk from the main train station, and enjoyed an excellent panoramic view of the city from my room. 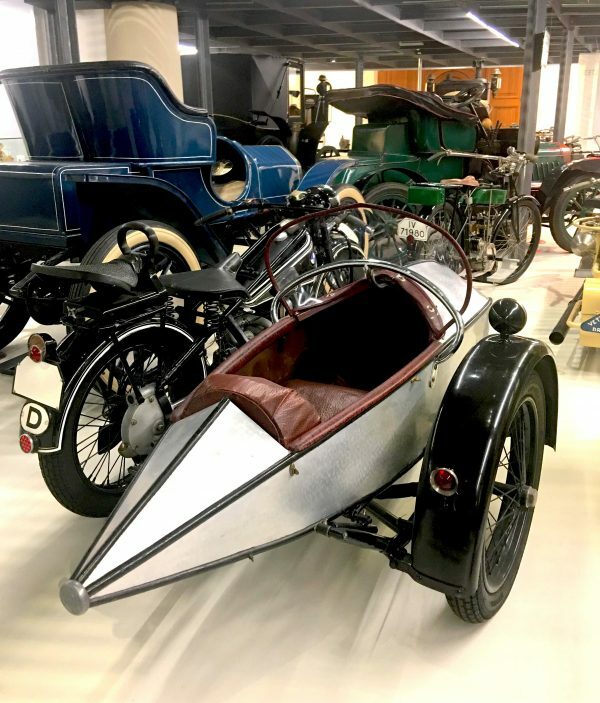 A 15-minute walk away is the Old City, where I visited the Transportation Museum to check out its in-depth exhibits of ships, cars, bicycles, carriages, and trains. Exiting the museum, you can walk across the street to enjoy the open-air market on the main square with its cafés and food stalls. The square is also the location of the annual Christmas market. The Kulturpalast (Palace of Culture) on the square is a monument to Dresden’s former governance by East Germany. A modern structure, it was recently renovated to house a monumental organ and provide superlative acoustics for audiences. Dresden also offers delightful excursions further afield, many reachable on the city’s tram or light rail systems. 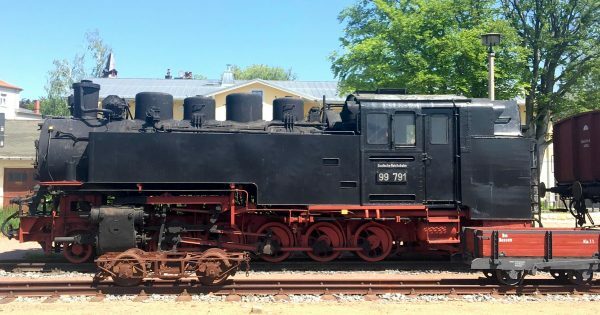 One of many enjoyable side trips is a journey on the narrow-gauge, steam-powered locomotive, which runs year-round. Seventy-five carriages and 10 steam locomotives are in use for the three different routes around Saxony. We booked a trip on the Losnitz Valley Railway for a tasting of regional white wines (excellent). This route led us to Moritzburg Palace, the world-famous Baroque hunting and summer residence of Augustus the Strong. 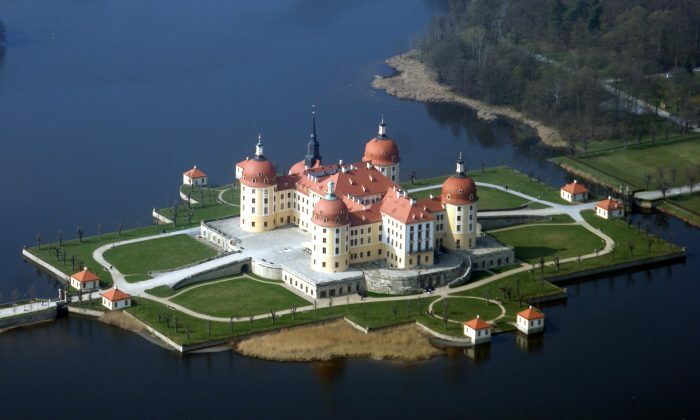 Moritzburg Palace is an enormous fairy tale castle set in the middle of an artificial island. With an unlimited budget, Augustus set about out-decorating every other aristocrat and monarch of his time. The walls are covered with leather “wallpaper” on which are hung elaborate tapestries. The other crowning achievement of interior design is the all-feather covered bedroom, which took more than 15 years to refresh—each feather was taken off the wall and cleaned by hand. Before departing Moritzburg, make sure you stop at the Saxon State Stud farm, the royal stud stables built in 1733. Now a horse-breeding center, 85 stallions are stabled there. 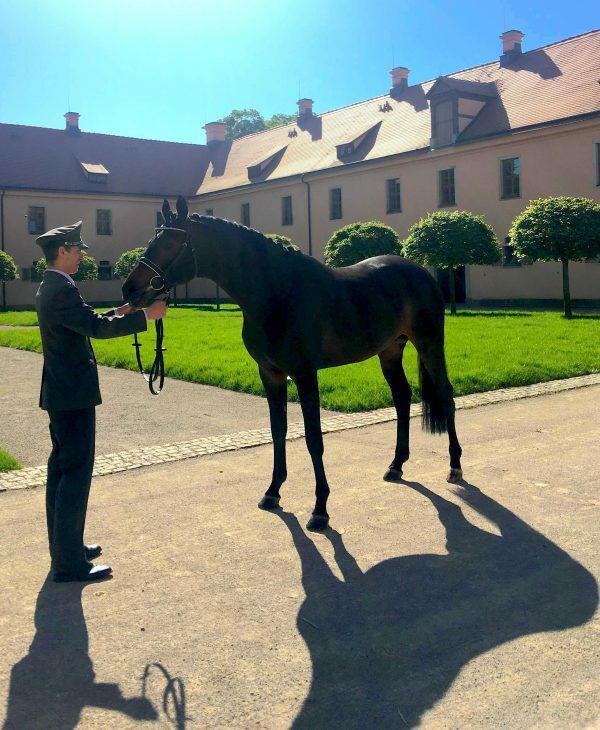 A tour of the stables includes a presentation of stallions by the uniformed staff (this is Germany) who run the horses up and down a pebble-covered path. Saxony is one of the top five wine-growing regions in Germany, and not far from Moritzburg in the town of Radebeul are two wineries that are worth a detour: Weingut Hoflossnitz and Schloss Wackerbarth. Hoflossnitz dates from 1401 with other buildings added through the centuries; you will be charmed by the landscape, the museum, the restaurant serving delicious locally sourced dishes, the well-appointed welcome centre and shop, and the wines. 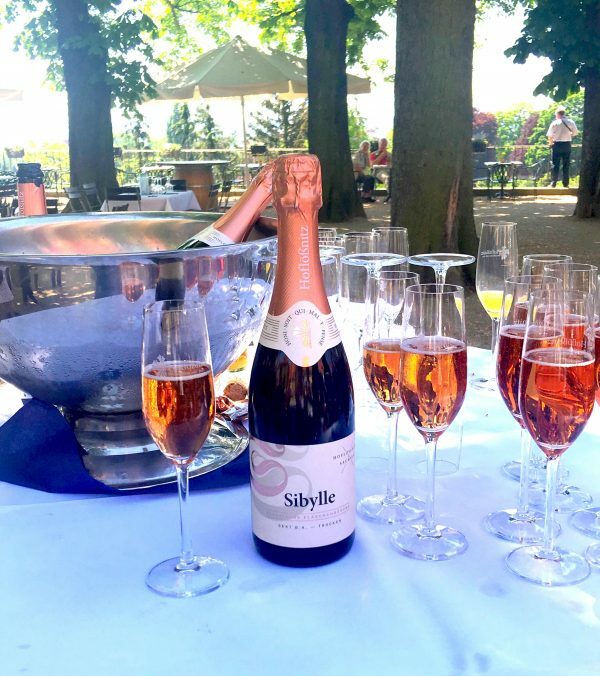 At Schloss Wackerbarth, visitors can immerse themselves in the production of Sekt, Germany’s sparkling wine, from grape to bottle. 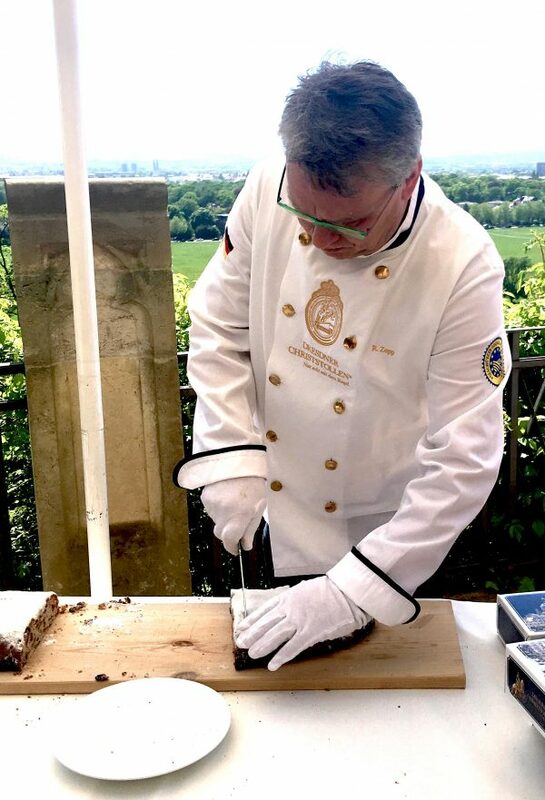 This is a Dresden specialty and bakers vie for awards and a stamp of approval from the city. This ensures the treat, usually available at Christmas and shipped around the world, is made with the highest quality control. Every December at the start of Stollenfest, a giant Stollen cake is paraded through the Old City on a horse-drawn wagon. Dresden is an ideal destination for those who want a full-on cultural experience minus the crowds. If you can extend your stay to four days, there are more castles and gardens to visit, as well as the famous Elbe sandstone mountains and the nearby Königstein Fortress. Isabelle Kellogg is a writer and public relations consultant in the luxury sector, with a passion for diamonds, jewelry, watches, and other luxury products, including travel.